Do you wanna know my secret of my long and full eyelashes? I’m already using my second packing from this eyelash serum, so for me is this a real miracle product! I’m still a huge fan from it, and there from I’m doing an update article about it. So be sure the first check out my first article about the kruidvat lash serum. In this article I’m telling you what the serum is made of and how you must use it. I’m using this serum now for almost 7 months so in this update article I wanna tell you more about my experience now. Because after those 7 months my eyelashes look even better! Are you curious? Then keep on reading! In my first article I told you when I got serum in my eye it burned like hell… But now after 7 months I perfectly now how to use and dose this serum. I also said that you have to use it the first 16 weeks each evening. After those 16 weeks you can use it 3 till 4 times. I use it 3 times a week and the results are impressive! All the way to the left you see how my eyelashes where because I started using this serum. In the middle is after 3 months. And whole to the right is how my lashes look now, after 7 months. Big different on 7 months, isn’t it? I can’t barely believe that my lashes looks like that 7 months ago! I’m already used to my full and long lashes. 😉 But there is also a bit difference between the 3 and 7 months. My eyelashes became much stronger and also a bit fuller and longer! So it is for sure worth to still use this serum 3 times a week! And at this moment I don’t think that my lashes are going to go grow more. But to keep them strong and of course long and full I will just this serum for further use. And if you aren’t convinced after seeing these pics? Then you must try this serum out yourself, you will see much different! And this serum is in combination with a good mascara a real killer combination! Your eyelashes will look so long and full! 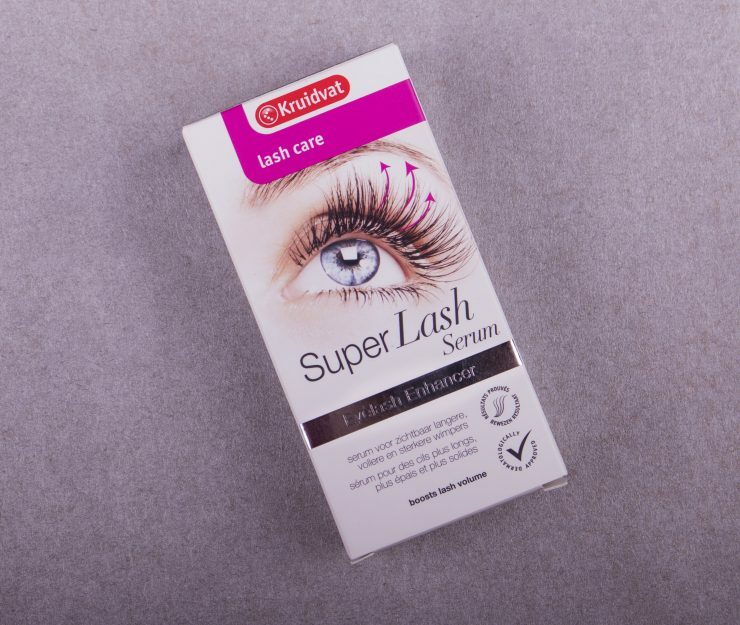 Kruidvat super lash serum cost €9.99. I’ve been trying LiLash and I hope seeing results very soon! Great product! Ooh, I hope the results are also good! Ik vind het echt een geweldig serum! En dit serum werkt echt super goed! Succes! En ik hoop dat je ook zo’n goede resultaten zal hebben! Ik hoor hier goede dingen over! Ga het denk ik ook halen, vind de prijs wel duur aangezien het ‘eigen merk’ is..
Wauw, wat zien je wimpers er mooi uit zeg! Bij mijn volgende Kruidvat bezoekje neem ik dit wimperserum mee. Ik heb korte rechte wimpers en daar zou ik graag verandering in brengen. Het wimper serum is echt een wondermiddeltje zeker voor korte wimpers! Where can I buy this serum?